The nylon Packas (30 Denier Sil/Pu coated nylon) are usually available in five sizes: Small/Medium/Large and MediumX/LargeX. Currently I only have small, medium, and large, but the x sizes will be offered again in the next few months. The 30d Packas are $92.50 + $7.50 shipping to the US. Unless you are a very large person, sizing for the Packa really only depends on your height and packsize.  The Packa is made very large in the jacket part to aid in air circulation. The small is best for people 5'7 and below. Medium for 5'8 to 6'. Large for above 6'. Backpacks with a volume of 4000ci or 65 liters work best with the small, medium, or large Packa. Above 4000ci or 65 liters require the "x" size. The Medium size is my former “one size fits all” size. I tried to hit the middle of the road with the Medium to accomodate “most” long distance hikers regarding body size and pack size. Draw strings on the bottom hem, sleeves, and hood allow hikers to cinch the Packa down and adjust the fit. The Small/Medium/Large Packas have the same packcover size at around 4000 ci or 65 liters. The packcover dimensions are roughly about 9 inches deep by 12 inches wide by 29 inches tall. The packcover also has 3 inch pleats on both sides at both the top and bottom increasing the volume beyond simply 9 x 12 x 29. The MediumX and LargeX sizes have the same jacket size as the regular Medium and Large Packa, but have slightly larger packcovers– up to about 5000 ci or 80 liters. Size Small is not available with the “X” size packcover. The packcover dimensions for the “X” size Packas are about 11 inches deep by 12 inches wide by 32 inches tall. The “X” size packcovers also have the 3 inch pleats that increase volume. The 30d nylon Packas are made in Vietnam.